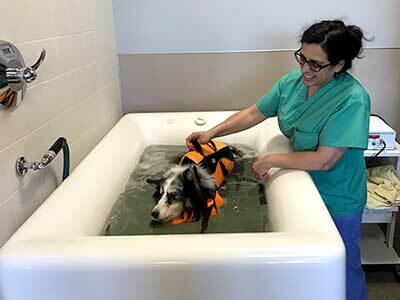 Photo: Mookie at Animal Surgical Clinic of Seattle in Washington. Therapeutic exercises can improve strength, flexibility, balance and coordination and can slow progression of disease, leading to an enhancement in mobility and better quality of life. 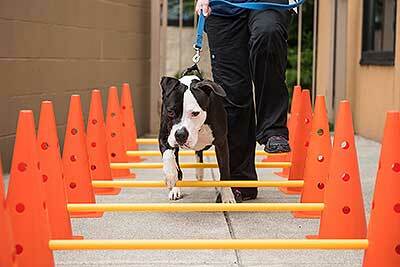 A rehabilitation practitioner professional should devise an individualized plan for your pet with specific goals. Photo: Rocky at Integrative Pet Care Chicago. Thermotherapy is the use of ice or heat to affect tissues. This therapy can be used in a rehab facility and taught to clients to perform at home. Use of cryo- or cold therapy can decrease inflammation and reduce pain. Heat can be applied to increase blood flow and aid in muscle relaxation. 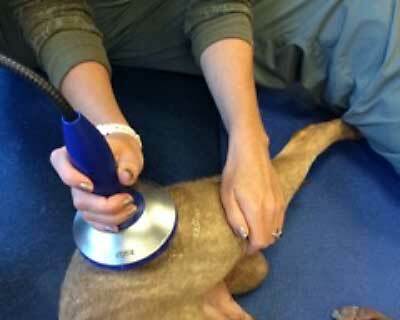 Laser therapy is the use of light (typically infrared) energy to stimulate tissue repair and provide pain management. 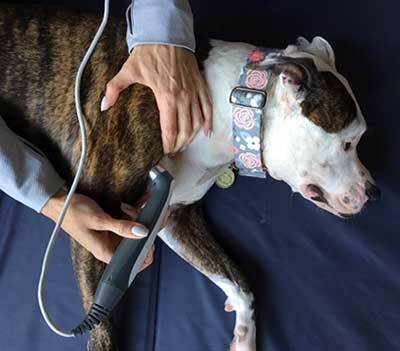 Laser therapy may alleviate muscle and joint discomfort, relieve symptoms of arthritis, relax muscle spasms and increase blood flow to an area, helping injuries to heal. 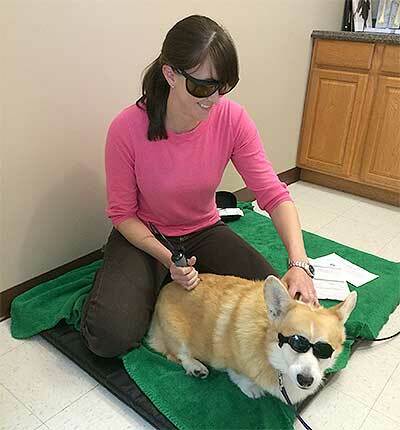 Photo: Dr. Megan Buchanan with a Corgi at Vanguard Veterinary Hospital in North Carolina. Ultrasound is the use of sound waves to create heating (thermal effects) and vibration (non-thermal effects). Therapeutic ultrasound breaks down scar tissue, increases muscle elasticity, improves circulation and reduces pain. It is commonly used for muscle and tendon injuries, fractures and areas of restricted range of motion. Photo: Dee at Integrative Pet Care Chicago. Massage therapy is a series of manual techniques used to improve a patient’s physical and emotional well-being. Physiological benefits of massage include pain relief, improved joint mobility, relaxation and increased circulation. Manual therapy can include a variety of techniques, including passive range of motion (PROM), joint mobilization and chiropractic. Manual therapies can be of great benefit to joints, allowing for greater movement and can also provide significant pain relief. Hydrotherapy can consist of both underwater treadmill and swimming pool therapies. It utilizes the warmth, buoyancy and resistance of water in a controlled environment to provide an optimal setting for physical rehabilitation. Hydrotherapy can decrease recovery time from surgery, improve pain from arthritis through low impact exercise and enhance cardiovascular fitness. 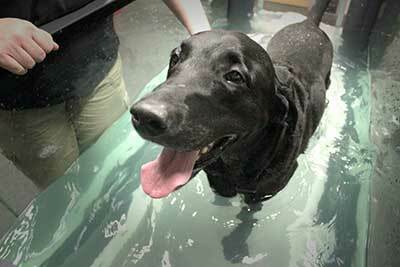 Photo: Buddy in the underwater treadmill at Vet-REC in North Carolina. Treadmills are useful for encouraging use of an injured limb following surgery or injury, retraining gaiting after neurologic illness and for fitness training. They can also be used to warm up tissues prior to therapeutic exercise sessions. Photo: Max with Emma at Integrative Pet Care Chicago. 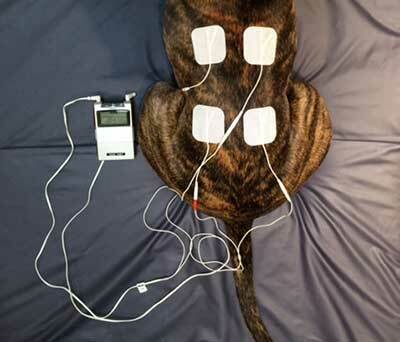 NMES sends electrical impulses to nerves, causing muscles to contract. It can be used to prevent muscle atrophy, offsetting the effects of disuse that may occur after surgery or injury. Photo: Vet-REC in North Carolina. TENS decreases pain and inflammation by providing a low level electrical current which disrupts the normal pain perception pathways. ESWT is the application of short, intense sound waves to a specific site to stimulate healing. It is used for the treatment of arthritis, tendon injuries, ligament damage, scar tissue, non-healing fractures or wounds and other musculoskeletal injuries. 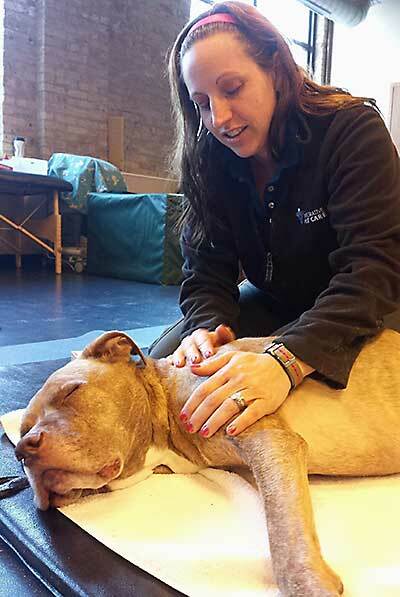 Photo: Emma working with Fifty at Integrative Pet Care Chicago. 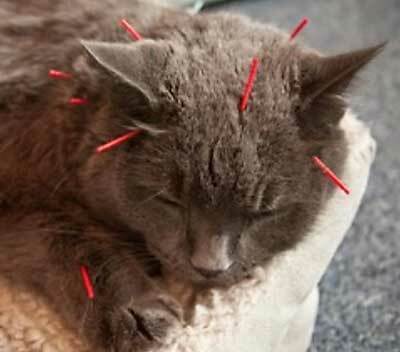 Acupuncture is the insertion of fine needles into specific points on a patient to produce a physiologic response. Stimulation of these points can lead to an increase in circulation, decrease in muscle spasm and modulation of pain. Acupuncture can treat both musculoskeletal and neurologic issues and is often used in conjunction with other therapies. 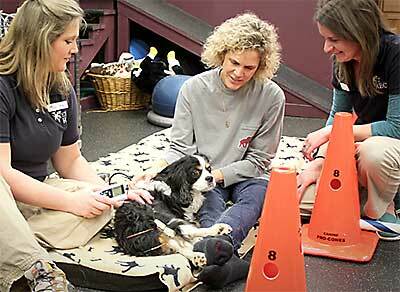 Photo: Canine Rehabilitation & Conditioning Group in Colorado. 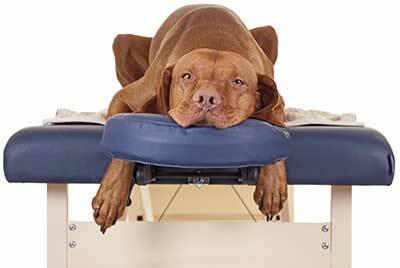 Veterinary spinal manipulative therapy or VSMT (same as chiropractic in people) is based on the relationship of the spinal column to the nervous system as well as the role of the spinal column in biomechanics and movement. Various manual therapy techniques are used during sessions to keep the musculoskeletal system functioning normally. Photo: Dr. Deanne Zenoni at Integrative Pet Care Chicago. PEMF therapy uses pulsing electromagnetic fields to speed healing, reduce inflammation and provide pain relief. 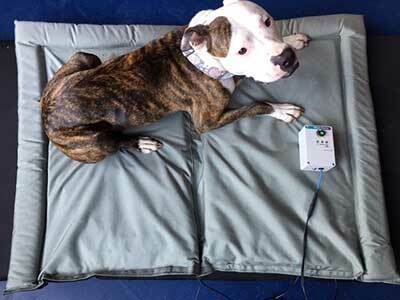 PEMF therapy can be delivered via mats, jackets and even portable loops. Photo: Dee on PEMF mat at Integrative Pet Care Chicago. PST, like PEMF, also uses pulsed electromagnetic fields, but PST uses a very specific type of electromagnetic signal that stimulates bones and adjacent tissues. PST stimulates and repairs damaged cells at the cartilage level and can relieve joint pain and swelling, improving mobility. Bioelectric Whirlpool Therapy is a form of treatment combining the benefits of hydrotherapy with electrical pain control therapy similar to TENS. This represents an avenue for providing pain relief for a variety of conditions. Photo: Animal Medical Center New York. 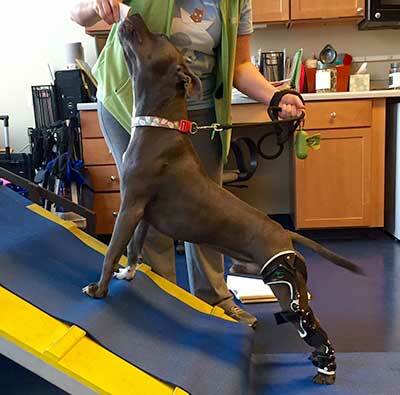 Custom fitted splints, braces, carts and even prosthetic limbs are available from many rehabilitation veterinarians. These devices are used to support an injured limb while it heals, to correct a deformity or to encourage correct limb use. Carts are fitted to patients that are paralyzed or unable to walk without support. 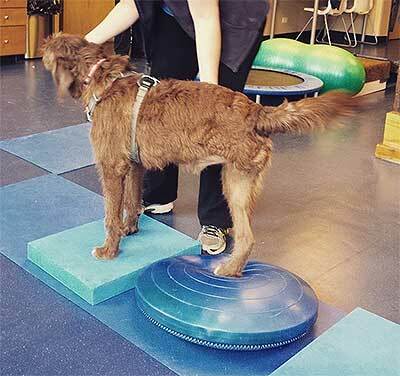 Photo: Blue Morrie with OrthoPets orthotics at Integrative Pet Care Chicago. 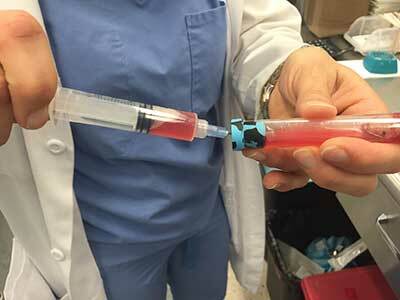 Regenerative medicine uses the body’s own cells and proteins to promote healing. These substances can be harvested from bone marrow or adipose tissue and are then injected into joints and soft tissues such as tendons and ligaments in the form of stem cells and/or platelet-rich-plasma. Photo: Dr. Leilani Alvarez, Animal Medical Center New York. Trigger points are sensitive areas within muscle tissue that cause pain. They can form acutely in athletes as well as in patients with chronic orthopedic or neurologic issues. Trigger point therapy helps to release these constricted areas, thereby alleviating discomfort. 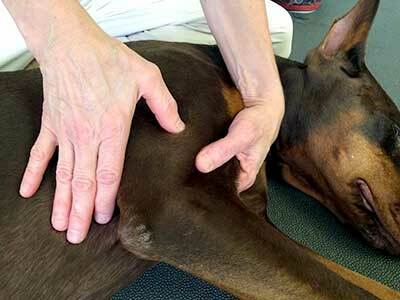 Photo: Denise Theobald, Chicago School of Canine Massage. 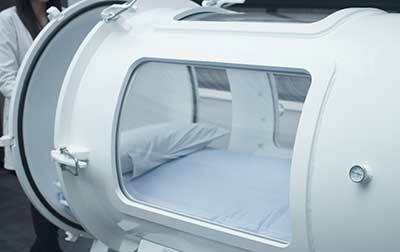 Hyperbaric oxygen therapy (HBOT) combines a high concentration of oxygen with an increase in air pressure to promote more rapid healing and to decrease swelling. 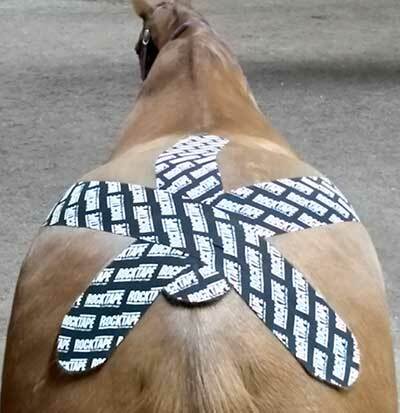 This rehabilitative taping technique can help decrease inflammation and bruising, promote circulation, decrease pain and provide support. Photo: Equine Performance Specialists, Colorado. 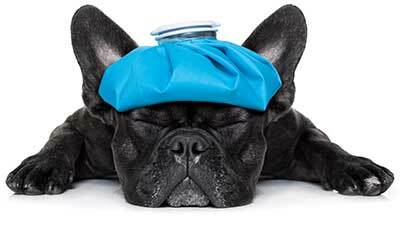 Copyright 2009-19 by the American Association of Rehabilitation Veterinarians. All Rights Reserved. Sign Up for AARV's Email Newsletter. You may unsubscribe at any time.